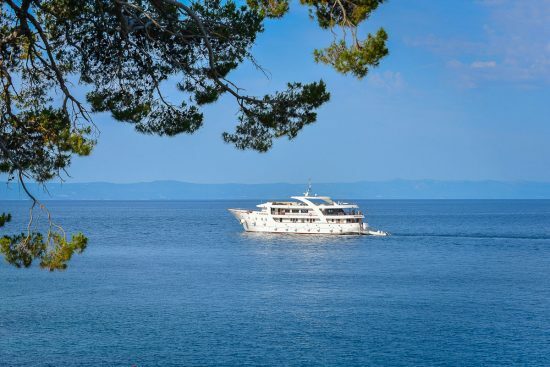 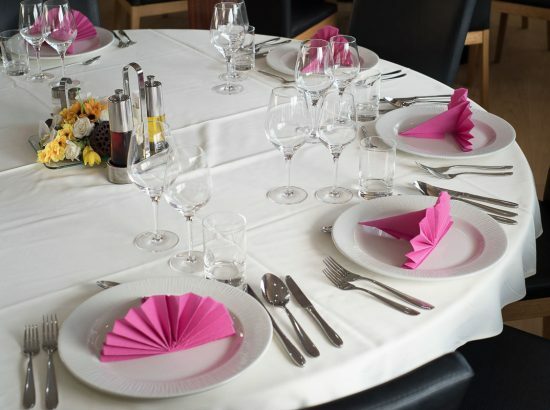 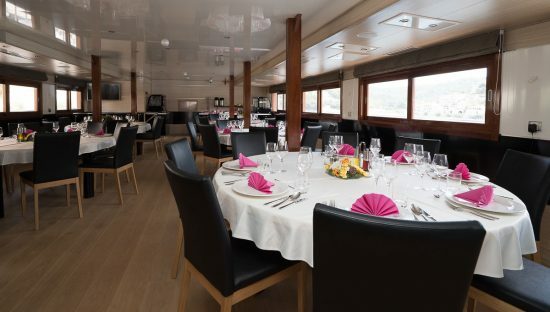 The MS Karizma is one of the most attractive and luxurious boats in Croatia offering a more intimate cruising experience. 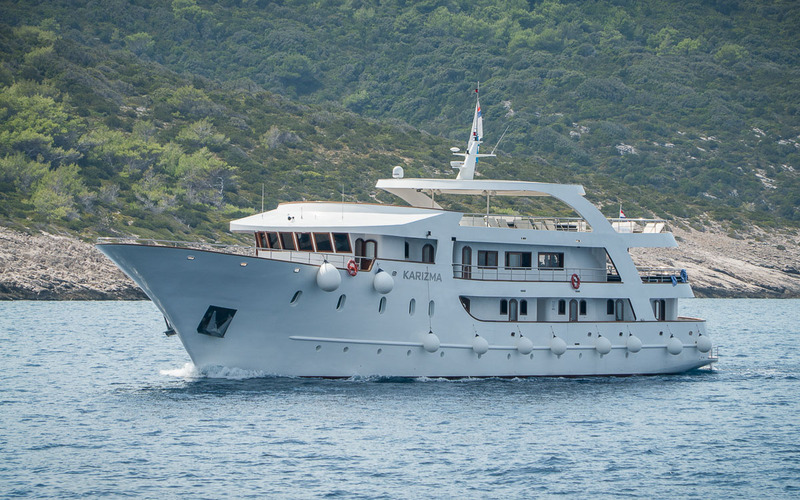 The MS Karizma’s size allows for access to the relatively small ports, coves and inlets providing unique views of the landscape and surroundings. 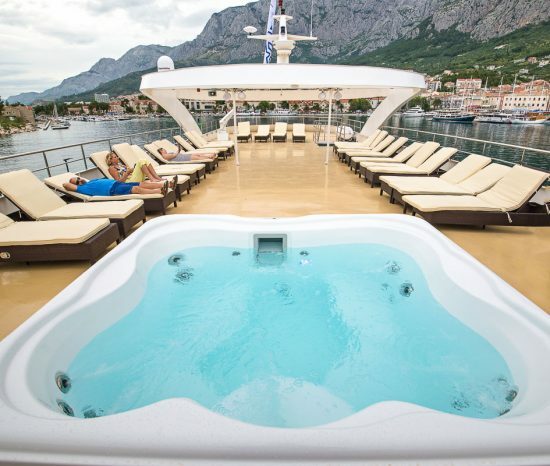 This new boat for 2016 is a modern, yacht-like cruiser that features warm and inviting decor and the latest in facilities. 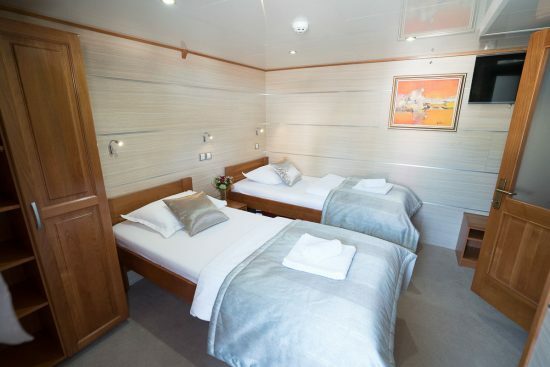 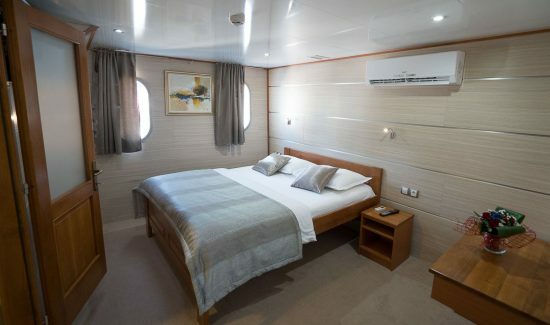 All en suite cabins, located over two decks, are generous in size and feature either twin or double beds, air-conditioning, LCD TV, safe and much more. 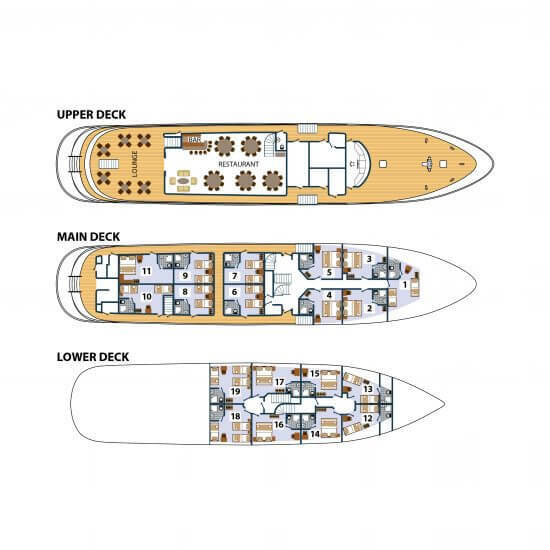 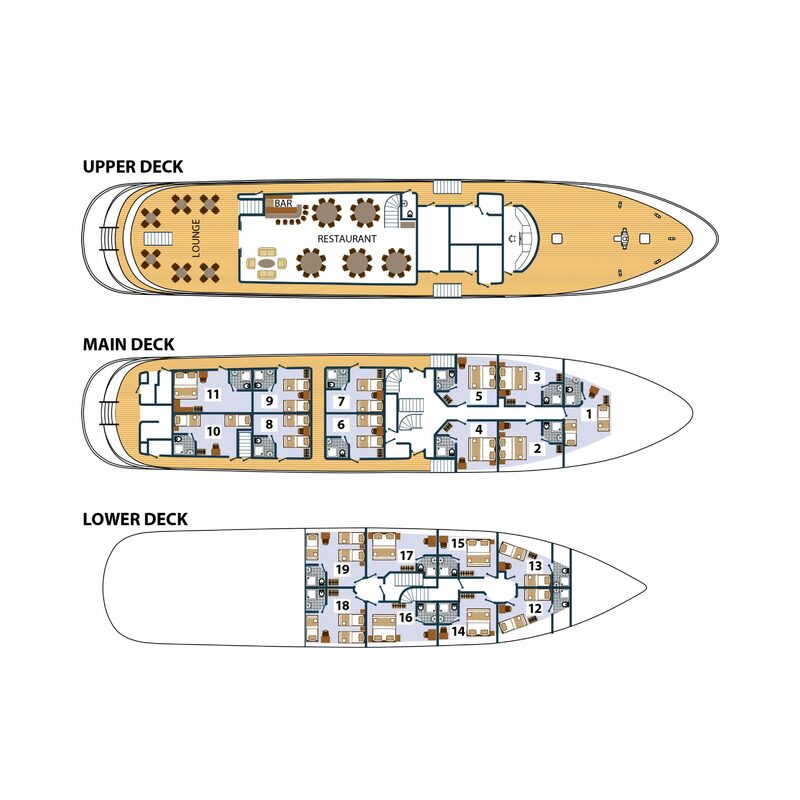 The abundance of space and public areas on-board include a salon-restaurant with panoramic windows, comfortable seating, bar and dining facilities. 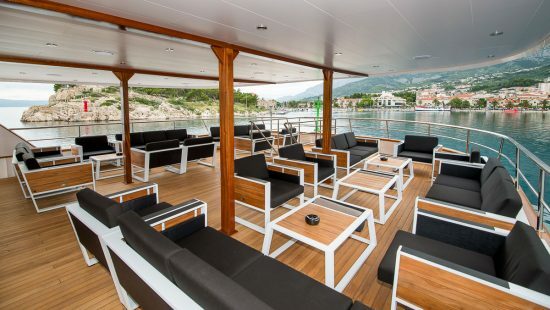 This leads out to a covered outdoor terrace with plush sofas for your comfort. The large sun-deck has sun-beds for all passengers from where you can take in the panoramic views. To make the most of every swimming opportunity there is a platform at the rear of the ship with a ladder for easy access to the water.